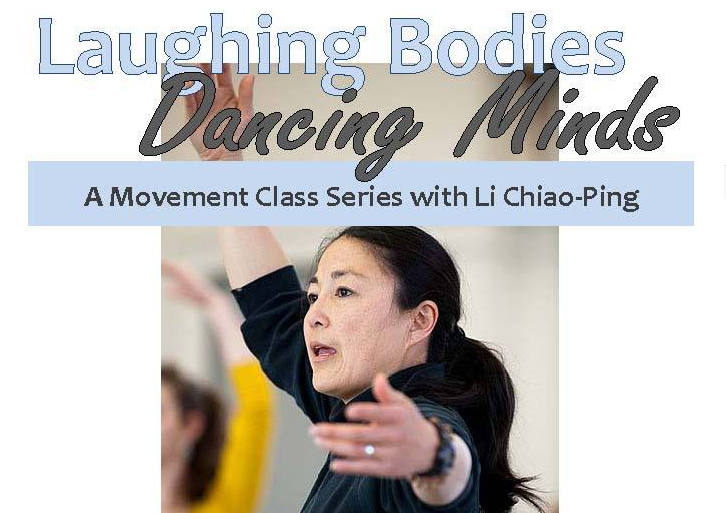 Li Chiao-Ping, internationally known Artistic Director of Li Chiao-Ping Dance, choreographer, performer, and Professor of Dance at UW-Madison, will lead two 8-week movement classes. Focus on warm-up techniques, stretch and strengthening exercises, core work, breathing and energy flow. No prior dance experience needed. $70 fee. Scholarships available. Registration now open. Call 266-6581. Laughing Bodies/Dancing Minds is part of Li Chiao Ping Dance, Dancing Through Life mission, which is funded in part by Altrusa International of Madison, Inc., Alliant Energy Foundation, American Girl's Fund for Children, Wisconsin Arts Board, with funds from the State of Wisconsin and the National Endowment for the Arts, Dane Arts with additional funds from the Endres Mfg. Company, and LCPD's Circle of Friends. Registration Details: Call 266-6581 or visit the Madison Senior Center front desk to register. Pre-registration is required and class series cost is $70.